This exhibition brings together approximately one hundred and forty superb examples of Russian porcelain wares produced at the Imperial Porcelain Factory in St. Petersburg during the rule of the Romanovs. The beautifully crafted, hand-painted objects present visitors with examples of inspired decorative settings and tableware used by the sovereigns and guests of the House of Romanov. From its inception in 1744 until the last days of the Russian Empire in 1917, the Imperial Porcelain Factory produced beautiful dinnerware and decorative pieces for the royal homes of the Tsars. Additionally, the royal household requested special commissions for unique diplomatic gifts, dowry sets and other items. One of the earliest European porcelain manufacturers, the factory in St. Petersburg continues producing remarkable objects of decorative art to this day. On view into 2011, Dinner with the Tsars presents the very pieces that adorned the royal tables of the Emperors and Empresses of Russia. Figes, Orlando and Boris Kolonitsku. 1999. 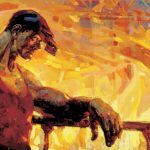 Interpreting the Russian Revolution: the language and symbols of 1917. New Haven: Yale University Press. Figes, Orlando. 2002. Natasha’s dance: a cultural history of Russia. New York: Metropolitan Books. Hillwood Museum. 2006. Russian imperial porcelain at Hillwood. Washington, D.C.: Hillwood Museum & Gardens. Hughes, Lindsey. 2008. The Romanovs ruling Russia 1613-1917. New York: Hambledon Continuum. Massie, Robert. 1980. Peter the Great, his life and world. New York: Knopf. Raeff, Marc. 1971. Imperial Russia 1682-1825, the coming of age of modern Russia. New York: Knopf. Troyat, Henri. Trans. Joan Pinkham. 1980. Catherine the Great. New York: Dutton. Palmer, Francis H.E. 1902. Russian life in town and country. New York: G. P. Putnam’s Sons.